This recipe uses a different ingredient called Glucomannan. I use it fairly often for thickening sauces. You can omit it if you don’t have any or check out my store and order some. Learn more about Glucomannan here. 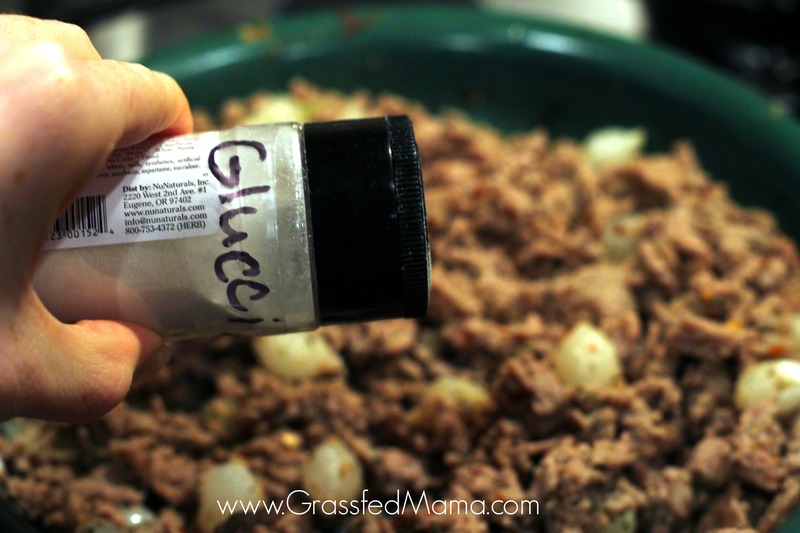 I keep my glucomannan in a little shaker to make it easier to add to dishes. This Cheeseburger Cauliflower Casserole is a good recipe to add to your weeknight rotations. It is quick and easy to throw together. Melt oil in medium high skillet. In a separate pan, steam cauliflower in a little water on stove. Once meat is cooked, turn heat down to low-med heat. Sprinkle with glucomannan, mixing in well. Add in your almond milk and slowly stir in cheese. Next add in your spices: Italian seasoning, salt, pepper, garlic powder, crushed red pepper. 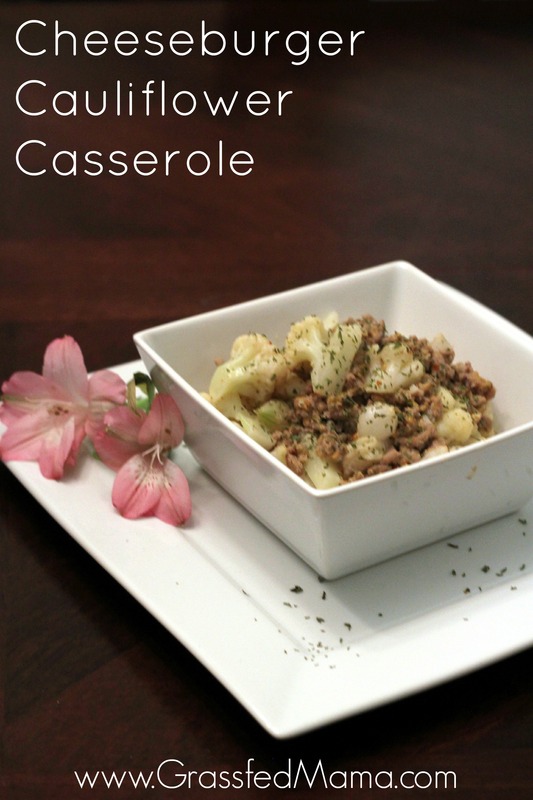 Mix together your meat sauce and your cauliflower. Top with additional shredded cheddar cheese. We love it! 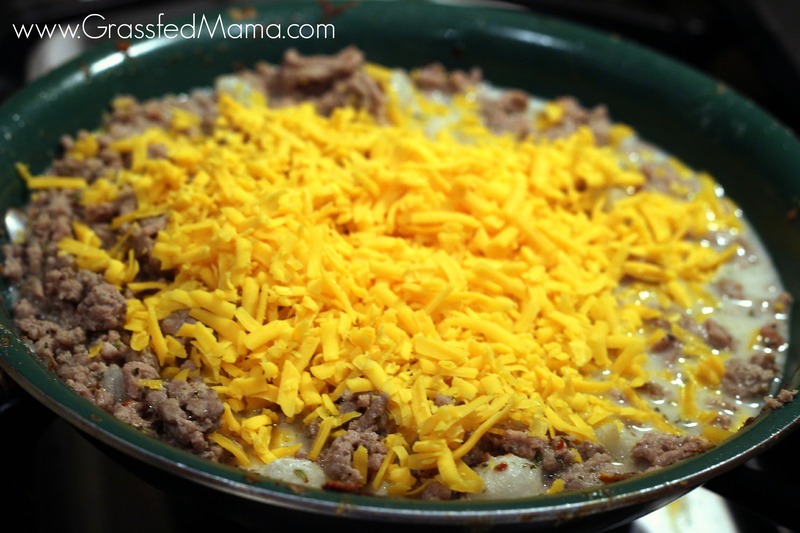 My husband used to live off of Hamburger Helper in his college days, and there is just something comforting about the flavors. This is fairly easy and a really good sub. Plus you get the added benefits from the extra veggies. Thanks for stopping by! 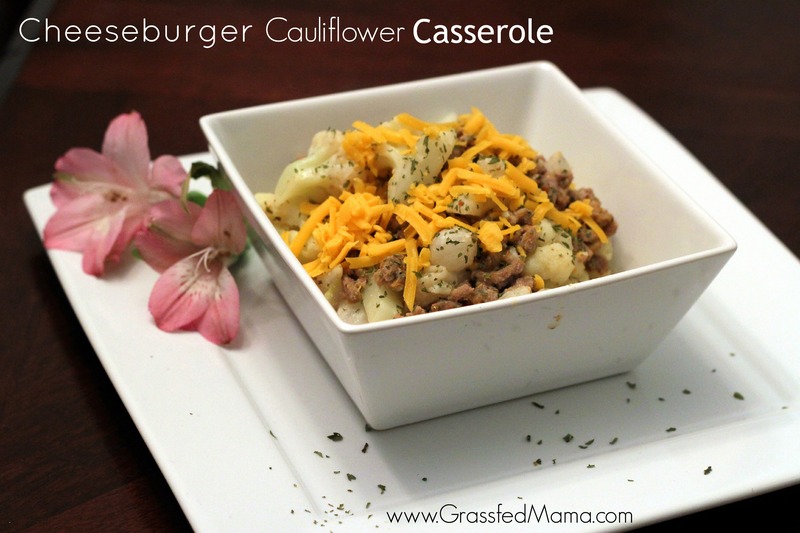 We love cauliflower too and I often use it to replace rice, pasta or potatoes in casseroles. I’m so glad I came across this recipe! Yes, I know people lose differently. Some people’s bodies need to heal before they can lose much weight. For me, it really is for health. I was having so much blood sugar roller coaster rides (and I was eating whole foods – just too many starches and natural sweeteners). I am so thankful for THM and the information I now have to stay healthy. What a great meal. Thanks for sharing at Sweet and Savoury Sundays, I’d love you to stop by this weekend and link up! I hope it’s helpful for you Jamie! Enjoy!